The Rains Appraisal Group is a progressive Residential Real Estate Appraisal company based in San Diego with well over 20 years of experience. We are fully licensed and respected within the industry. 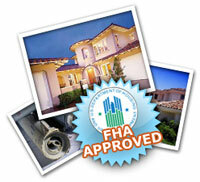 We provide a professional, efficient, and reliable service to satisfy all types of Real Estate Appraisals. In particular, we specialize in appraisals for Bankruptcy, Divorce, Estate planning, Tax disputes, Date of Death, Insurance disputes, Bonds, and Before Buying or Selling your home and more. All of our appraisals are completed competently and designed so that the reader of the report can easily understand the logic and methods used to develop a professional opinion of value. We pride ourselves in customer service and are happy to answer any questions that you may have to help you determine what your appraisal needs might be or whether you have a question regarding the Appraisal report itself. We also have built alliances with companies within our industry to ensure we can satisfy all our clients questions and requirements within the Real Estate industry. At Rains Appraisal Group, we understand the importance of providing our clients with a high quality Real Estate Appraisal service and you can be assured that you’ve made the right choice when you allow us the opportunity to serve you. or complete our order form. The Rains Appraisal Group goes the extra mile for you. The modern mortgage industry is moving faster than ever before. To keep pace we have developed an easy system to provide our clients with a fast and easy method of ordering appraisals or value checks. Contact us to start the process. Residential property types including Single Family Residences,2-4 Multi Unit properties, Complex properties, Condominiums, Vacant Land, Manufactured homes, Mobile homes and Investment/Income producing properties.